If you have been using smartphones and Webmail for a few years, you will no doubt have picked up quite a few separate accounts for things like Gmail, iCloud and Yahoo mail. If, like me, you also happen to be particularly bad at keeping your contacts across all your accounts organised, then you will notice that your contact list starts to look worse and worse as the months and years go by. There are many issues that can start to arise, such as duplicate entries, old data and wildly inaccurate names and numbers. The built-in iOS contacts app does try to help but does half a job at best, and you will find yourself manually editing contacts all the time, which can be a real pain if you have hundreds of contacts. 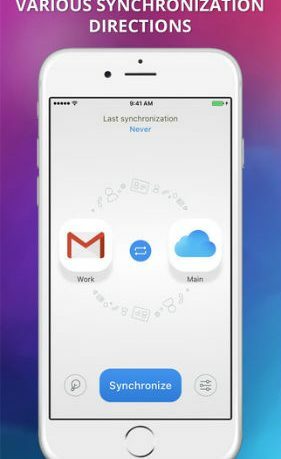 1Sync aims to help you solve some of these problems by providing a feature packed contact sync that works with Gmail, iCloud, Yahoo and many more to keep your contacts in order and automatically synced. Support of popular protocols CardDAV and Exchange including Gmail, iCloud, Outlook.com and Yahoo! email services. Use the application to create identical contact lists in two accounts or to move data from one to the other. Your contacts are protected from accidental damage. Additionally, you can always revert the latest synchronization. An advanced synchronization algorithm will handle very long contact lists. 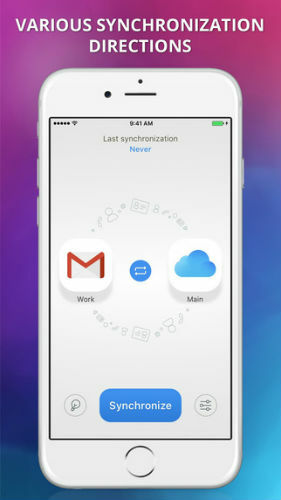 1Sync lets you daily update you account information automatically in the background. Your Facebook friends’ contact information and newest profile photos are now in your address book. The app itself actually works really well. Logging into accounts is easy, and the app will intelligently sync everything for you, with little set up required. There are plenty of options for those that do want a bit more customisation, however. You can copy contacts across accounts, and even mirror entire accounts to one another, a feature that is worth the price of admission alone. Onto pricing, where things are not quite so fantastic. You can download and use the app for free, but some of the best features, such as automatic synchronisation are locked behind a pay wall. In my opinion, the price for the Pro version is worth it, but I do think that there should have been more options for free users. Overall, this is an intuitive app that will be a life saver to many people fed up with the limited contact sync options provided by Apple. 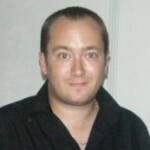 Highly recommended for anyone wanting to streamline and merge contact accounts with ease.